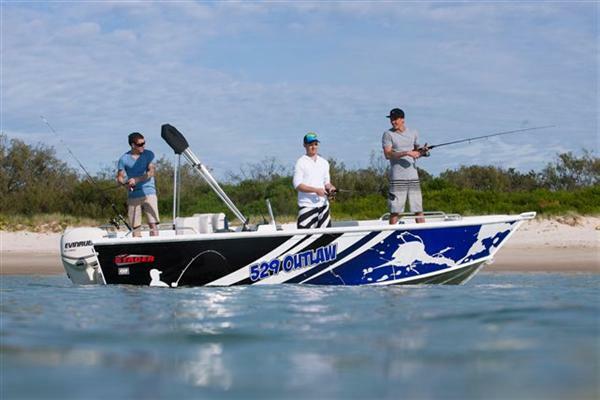 Material Alloy The Stacer 529 SC OUTLAW is a tough package, more than capable of taking on many situations. This brand new boat comes with 3mm Bottom & Smooth Top Sides as standard. With casting platforms front and rear and 3 different seating positions this is a great package for those fishing expeditions. Also available in a Centre Console version.